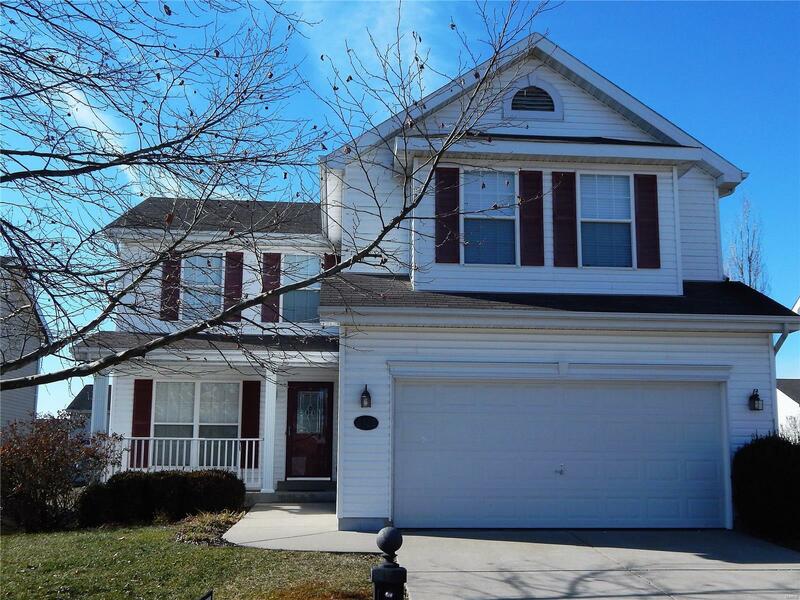 Wonderful 2 story home with 4BR/2.5 BA located on a cul-de-sac in "The Estates of Plum Hill." Once you step foot into this lovely home, you will notice the huge FR that can be shared w/the DR featuring a beautiful bay window. Awesome size kitchen features an open concept w/a breakfast area, built-in desk, center island, pantry & gorgeous hardwood floors. Door off the brkfst area leads out to the patio & a nice size yard. Main floor laundry is located off the 2 car garage. Open staircase lead to the upper level offerings 4 BR's. Mstr BR has a dbl window that provides natural light & a walk-in closet. Mstr BA w/dual vanity, tub/shower combo & nice size linen closet. BR#2 has attached shelving & walk-in closet. BR#3 also has a walk-in closet. Large linen closet in hallway. Full unfin. bsmt. w/a BA rough-in & egress window. Amenities: Community pool. 10 acre lake, 2 ponds & gazebo. Dont's miss out on this fabulous home!